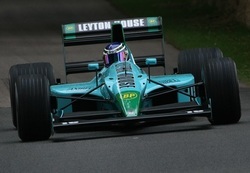 One of Rivard Compétition’s most ambitious works to date was the restoration of five March/Leyton House Formula 1 cars. This massive rebuilding and restoration project took more than five years to complete. Here’s the skinny. 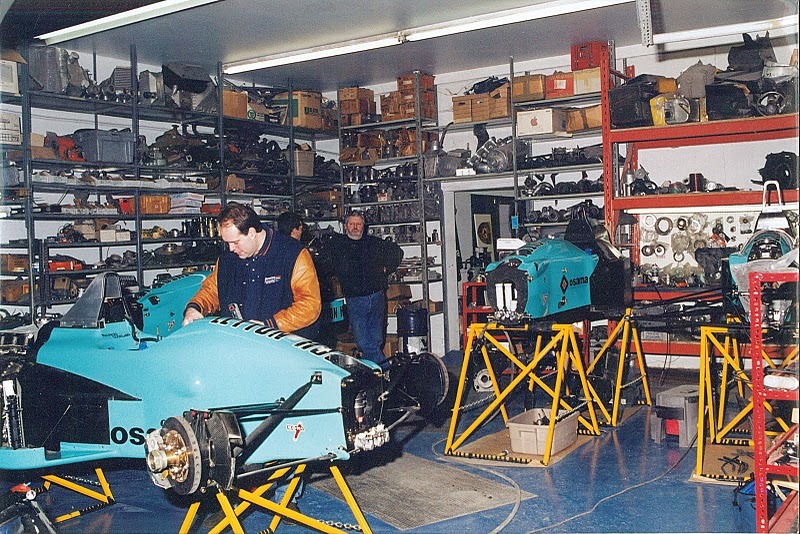 Rivard Compétition was asked by an American collector to undertake a massive restoration project of his stable of March/Leyton House Formula Ones. So, he agreed to send all his cars to the shop. 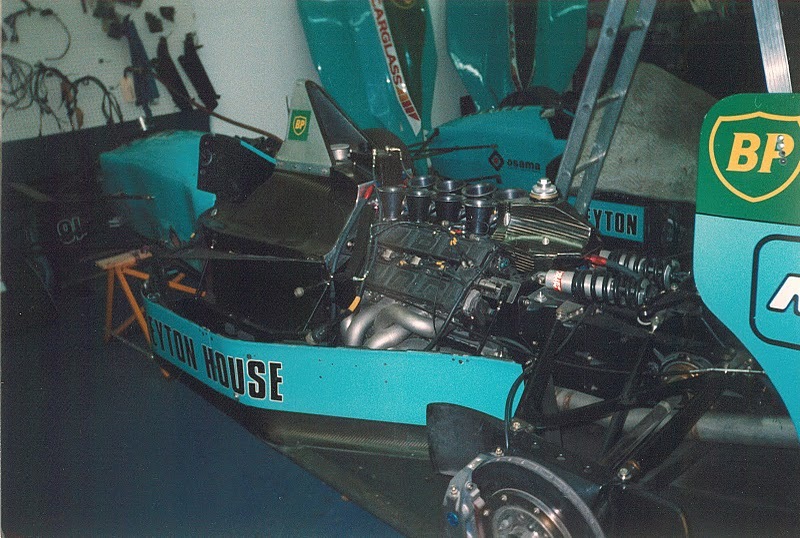 At the time, a full section of the Deschambault shop was dedicated to the Formula Ones and the traditional Leyton House green was all over the place. Plus With everything arriving in several poorly identified boxes and boxes, it had the feel of a giant Lego kit! 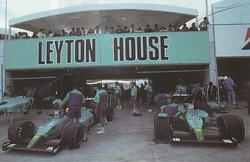 Of the five March/Leyton House to arrive at Rivard Compétition, only the 1988 one had the engine in it. 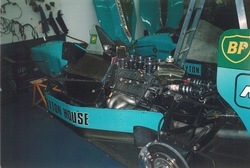 The work done on the 1988 was wiring and tuning. The restoration on the other four cars was a lot more comprehensive. All four cars were in parts, lots of components were missing and impossible to find. Thus, some transmission and gear box components had to be designed and built in house. 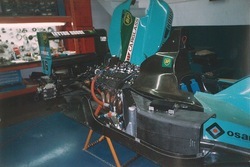 Three of the Judd 3.5L engines were refurbished or rebuilt. All dry-sump transmissions and their complex oiling system were partly redesigned and rebuilt. Gas intake systems also had to be redesigned from scratch and installed on all five cars. Suspensions were also completely redone on all five cars; doing the alignment and setting spring rates for race conditions ended up being tricky tasks. Jacques and his team also had to install new brakes and come up with a new pneumatic starting mechanism to get the Judd engines roaring as neither car arrived with one. In the end, one by one they all left the shop in race-ready condition… Though, not before the crew got accustomed to hearing the music like –although slightly loud - sound of the Judd V8s! Created in the late 1960’s in Bicester, UK, by four British associates: Alan Rees, Graham Coaker, Robin Heard and Max Mosley (Yes, THE Max Mosley), March Engineering was a fixture in motor sports for more than 30 years. 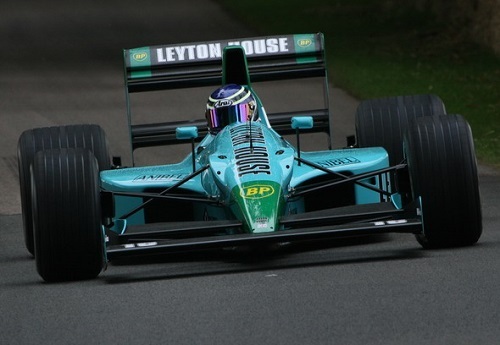 Despite only three Formula one wins, a plethora of great drivers and future world champions took turns behind the wheel of March cars. Among them were Niki Lauda, Jean-Pierre Jarier, Henri Pescarolo and Ronnie Peterson. Despite modest accomplishments in Formula one, March was a highly successful outfit in other motor sport circuits, including two championships in three seasons in the European Formula 2 series in the 1970’s where they formed a lethal combination with BMW. March also made the jump to America where they had tremendous success. In what was then known as the Indy Cart Series, March scored five consecutive Indianapolis 500 wins (1983-1987) and two series titles with Al Unser in 1985 and Bobby Rahal in 1986. Among its other triumphs, March won an IMSA title in 1983 with an Al Holbert driven and Porsche-powered March 83G. The following year, another March and Porsche combined for the overall win at the 24 hours of Daytona and the IMSA GTP 1984 title. 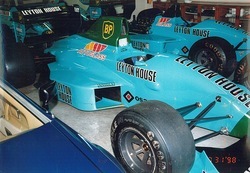 In 1995 Rivard Compétition undertook the restoration of five Adrian Newey-designed March/Leyton House Formula One cars. 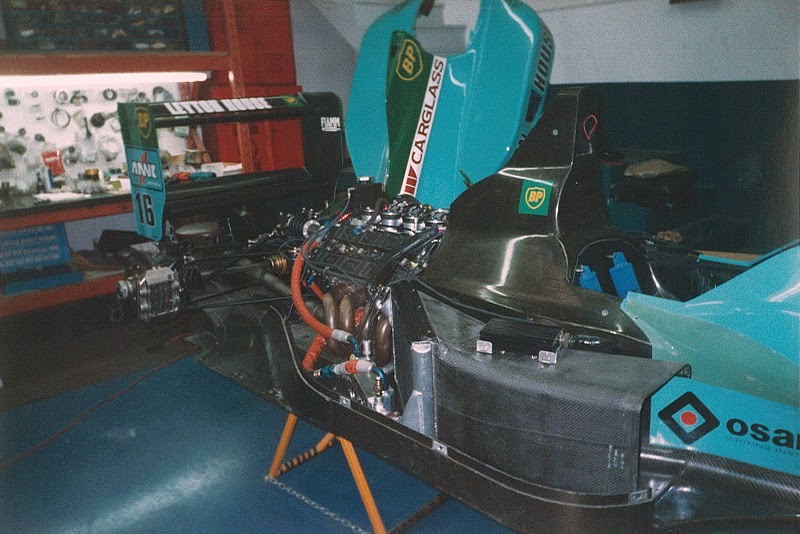 Previously driven by Ivan Capelli and Mauricio Gugelmin between 1988 and 1990, the five cars were powered by a Judd V8 3.5L (650 hp) engine. In his second F1 gig after thriving in Indy Cart, Adrian Newey was already a highly touted car designer/technical director and its March-designed cars showed glimpse of why he would become a legendary figure of Formula One racing. In the late 1980’s and early 1990’s, March had unspectacular results and these seasons were marred by inconsistencies. 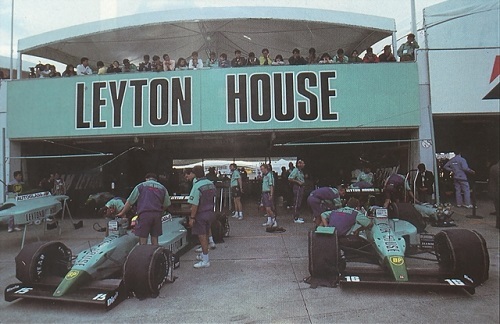 Capelli scored a third place in 1988 and a second place in 1990 and Gugelmin finished second once in 1989. That being said, March cars showed flashes of being competitive. It’s worth noting that it was an era where Alain Prost’s and Ayrton Senna’s McLarens with their Turbo engines were outrageously dominant and atmospheric engine cars like the Judd V8 March cars did not seem to be on an even playing field. Ronnie Peterson won in 1971 followed by Jean-Pierre Jarrier and Patrick Depailler (1973 and 1974 respectively). Later on, Bruno Giacomelli (1978), Marc Surer (1979) and Corrado Fabi (1982) all won European Formula 2 Championship with BMW-powered March cars.